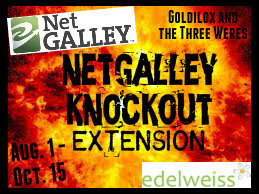 Goldilox and the Three Weres: Netgalley Knockout Extension! If you are doing this challenge and did really great this month, then feel free to write your wrap up post and be done with it. But if you didn't get through more than a handful of your ebooks for review, then please feel free to join in on the extension and wait to wrap up until October 15! 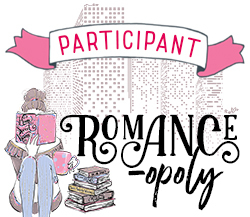 I am going to post all of the books I currently have on my ereader from Netgalley and Edelweiss that I'd like to read from this point in the challenge on. Then I will be coming back to this post throughout the rest of the challenge to update with which books I have read! NO, I do not plan on reading ALL of these books. That would be insane. I just want to have the list all in one place so that I can pick and choose which books to read! Also, I will be adding the Netgalley Knockout badge to each of my reviews that meet this challenge. Please feel free to do the same! Glad you're extending it! I still have so many books to read. :) Good luck with yours! My target for last month was 19, I hit 14. I made some commitments for tours this month so I think I'll do just ten. I won't do a list anymore because I read according to my mood... oooppsie! I'll do the knockout with you, keeps me motivated. Mine was 8 and I hit 2. Yeah, I know shamefull. So I'll take the extension please. Good luck! Last month I had four books down, and only got to one, lol. I'm so glad that you extended this!